Welcome to this new year in which you will be decorated. It will be awesome to begin this year with a personal and dedicated thanksgiving! That you are alive is a great reason to thank your God! No matter how last year or your past was, put the devil to shame and thank the giver of life-jehovah God! If you are not thankful for what you have, you are not likely to be thankful for what you are going to get this year! The average human being easily forgets the millions of goodness we have been blessed with by God. But the person who forgets the language of gratitude will never find himself on speaking terms with happiness because the Lord told me that he will decorate many this year! Yes! Welcome to your year of decoration! Just as Elisha tore his clothes (mantle) and put on Elijah’s cloth (mantle) in 2kings 2:9-15, this is the year in which a new mantle (divine garment) will be placed upon you! The Lord told me that it is a change of garment year! The old garment of shame and ridicule will be replaced with new garment of fame and miracles! Ah! Look for things to be thankful for, because thanksgiving provokes decoration! Stop seeing the losses, the pain, delay, etc, and see God’s ‘little’ mercies. Always look at what you have left not what you have Lost! For every allowed battle, there is a blessing attached! 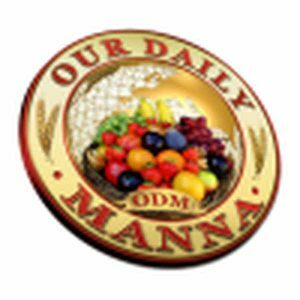 READ Daily Manna August 24 2018 - TOPIC: MY BATTLES: HIS RAW MATERIALS! 1. Thank you Lord for the gift of Life! I have Hope that this will be a greater year in Jesus name. Satan, you are a liar! 2. I ask for the grace to pray and fast again this January! Pray the “Prayers just before fasting programme” on page 108 of “War Against Human 13” booklet for the next 5 days till January 5th! This is an amazing initiative… I couldn’t get the latest copy for 2018 but I thought of going online and I found what I was looking for…thank you! I want to thank the Almighty God for making alive today am so greatful and indebted to Him. I also thank and pray that the daily manna will continue to inspire many. I have been blessed by this book, to Dr chris i may the LORD continue to increase in u and give u more grace to streghth to carry on this vision. I decree and declare no weapon formed against you and this vision shall prosper in Jeseus name. Amen God bless you, sir, Kindly subscribe on this website by entering your email in the subscribe box, Keep visiting this page and always share the website with friends so that they can come and read and be Blessed Amen. Good morning Sir – kindly help me with the War Against Haman 13 – i want to start fasting on the 6th January – i have waiting for long for this books – mariedalliah@yahoo.com Thanks. Ok, we are working on that.